Arrogance is a personality trait impossible to hide for those who suffer from it. In fact, it becomes more obvious when an arrogant individual tries to cover his proverbial petulance under a cloak of feigned humility. The worst of such a subject, however, is his histrionic ability that allows him to deceive considerable groups of people, particularly those who desperately need someone to speak “for them” or those who, quite the opposite, enjoy the blessing of authority. In the case of Cuba, where freedom of speech, of the press, of information and of association are among the major shortages of this society, it is not difficult that, from time to time, some savior may appear self-proclaiming to be “the spokesperson for Cubans” which–it’s obvious–betrays immeasurable insolence, not only because it lacks the allocation of powers, but because it previously assumes an often repeated lie that, for some chumps, has become the truth: Cubans have no voice. Allow me, Mr. Arrogant and his troupe, to correct your mistake: Cuba’s Cubans do have a voice, what they lack is the means to be heard, not to mention the great number of deaf people in the world. But, of course, a shining hero will always appear–usually with credentials and even with a pedigree–who, from his infinite wisdom, will quickly delve into the deeper intricacies of the Cuban reality and will be the only one capable to interpret it objectively because he, balanced and fair, “is not at the end of the spectrum”. Interestingly, these specimens proliferate virulently among accredited foreign journalists on the Island. Since I don’t wish to be absolute, I suppose that there are those who are humble and even respectful of Cubans and of our reality, only I have never had the privilege of meeting them. It may be my bad luck, but, that said, to practice journalism in Cuba armed with credentials of a major media outlet and with the relative safety that your work will be published and–very important–duly financially rewarded, seems to have a hallucinogenic effect on some of them. Such is the case of quasi-Cubanologist Fernando Ravsberg, to whom I will refer as “R” as an abbreviation, a journalist recently fallen from grace with his (ex) employer, the BBC, who has written a plaintive post following his clash with the powerful medium and, oh, surprise! after many years of working as a correspondent in Cuba and having collected his earnings has found that “he does not share their editorial judgment” as stated in his personal blog, Cartas Desde Cuba. R, inexplicably, took longer to find out the editorial standards of the BBC than to get acquainted with the intimacies of such a controversial society as that of Cuba. R soaked us with “having tried to be the voice of ordinary Cubans,” of “the man on the street” through his blog. He says this with such conviction that there are even those who, besides himself, have believed it. And, since this man is not afraid and has taken his messianic mission very seriously, he is proposing that, “from now on, whoever has an interest in continuing to debate on the reality of the Island, will be able to do so through my personal page”. Very humble, R, seriously, and we should be thankful… where else could we do it otherwise? I must confess that my stomach is not that strong, so I read R’s work only every now and then, and afterwards, I spend some time detoxing. For example, phrases like this sicken me: “We tried to decipher the keys to the psychiatric hospital crime, where some thirty patients died from hunger and cold”. In Cuban lingo R was really “discovering” warm water because that monstrous crime was in no way encrypted. 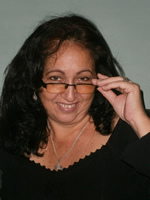 For most Cubans, and to every independent journalist who covered the story extensively and published serious review articles about the case, the essence of the events lies in the corrupt nature of the system, its officials and, in particular, the impunity of its practitioners and those who are foremost responsible: the dictatorial gerontocracy of over half a century, that is, the same one R awards great credit for the universal health care for Cubans. In any moderately democratic country, more than one high official would have been blown out of the water over a similar scandal. OK, then, the events of the psychiatric hospital are just the sample button of the quality of health service offered to ordinary Cubans, common Cubans who have no access to hard currency clinics, or to the CIMEQ*, where the anointed and the leaders are cared for. Needless to say, mental patients are the most fragile and defenseless. If R knew a tad more about the history of Cuba, he would know that, though as inadequate as it is today, Cuba had public health care since colonial times; therefore, it is not a Castro-innovation. And there were health care institutions that were eliminated by the revolution: I, as the daughter of a qualified laborer and a housewife, was born at Acción Médica (Coco and Rabí Streets, Santos Suárez, Havana) a clinic all the members of my family belonged to. Their service and their attentive care were both very good. As for “low infant mortality” so highly advertised, many specialists question the accuracy of Cuban statistics. In fact, they are so fickle that they do not reflect the number of neonates who die before being entered in the records, because there is an official policy that guides registration of births when newborns are healthy and have at least some basic guarantees for survival. I know testimonials from parents whose children were born with certain defects or conditions incompatible with life and remained hospitalized until their death, several days later, without ever being registered. Officially, these children are never born, so they go from the womb to their eternal sleep without the required red tape. Thus, officials prevent them from being a negative number in the fabulous statistics displayed to the world, but what does it matter, if even the World Health Organization recognizes the overwhelming success of revolutionary medicine and applauds it excitedly. As for “universal education” comments are not needed. Every Cuban born in this process who has attended school in previous decades, and whose children and grandchildren have also been students in Cuba know only too well about the deteriorating quality of education, teachers and teaching facilities, more manifest in the last two decades, to say nothing of the indoctrination and the segregation of those who think differently than the official line. If R considers this an achievement, he should also know that public and private education existed since colonial times on the Island, and that, since the eighteenth century, academic tradition was established in our country and lasted until the totalitarianism of this government turned it into a hostage to ideology and monopolized, generalized, and uniformed, to its detriment, all education. As an example, my grandson Cesar, who is in first grade, learned about “the five heroes”, Che Guevara and F. Castro at school, however, they have never mentioned Carlos Manuel de Céspedes, Ignacio Agramonte or any of the founding fathers of the Cuban nation to him… and even less the great civic figures in the history of this country. Another issue would be what R calls “the world’s most efficient civil defense”. This already seems a hallucination as a result of an overdose …of something. What exactly is the “civil defense” for this brilliant journalist? The answer is a mystery, so we can only speculate. Could it be that he is referring to the spectral MTT**, whose only “proof” of existence is the work-day that all of this country’s state employees donate annually, but nobody knows where the money goes or how these funds are used? Or is this what R calls the amorphous mass, grouped under the generic “CDR” whose only purpose is to pay the State a few cents monthly and to light up a bonfire once a year to display the collective hunger by consuming a repulsive (revolutionary) stew? Does R ignore that the CDR’s are today a pipe dream, just shreds of the most formidable organization that Castro I created in order to spy on us and get us to betray each other, which filled people with distrust, envy and hatred? In criticizing the dissidence and some others of Cuba’s ills, R states he’s seeking a necessary “journalistic balance” (some euphemism!). R is just spewing the first thing that comes to mind or whatever is at hand, be it a stone or something less principled, which–far from achieving some balance–only results in murky half-truths or misrepresentations. It’s what happens whenever a “critic” attacks the effects, carefully avoiding pointing out the causes. Thus, R is playing with the chain, including some high links, but he keeps a very prudent distance from the monkey. That way, anyone can be an acrobat and keep the balance. He does lash out at “the dissidence”, and how! This is what happens when, from his comfortable seat, R questions the finances that the same dissidence gets, since such an expert analyst of the Cuban reality must know, members of the dissidence are expelled from jobs and school and many lack any other income or livelihood. At the same time, for R–and for the Cuban regime–it is obvious that any “dissent” is funded by the U.S. government: apparently, they have their proof. However, I don’t know of any dissident jailed for being “in the service of a foreign power”. Who could believe that the olive green satrapy would allow the existence of so many “mercenaries” when the mere act of protesting or making an anti-government poster has resulted in brutal reprisals or landed many Cubans in prison? But we human beings always have something in common. Here’s where R and I are alike: I’m not “politically correct”. Indeed, some people think I’m not correct at all. Though I suspect we do not have the same concept of what is “political” or what is “correct”. For instance, R says on his blog “we analyzed the dissidence’s weaknesses” (because in his infinite virtue, R humbly overuses the plural and replaces the “I” with an unpretentious “we”, a common vice among speakers of the nomenclature). At times, I have also criticized the proposal or program of my opponents, stipulating the reasons why I don’t share their views, which doesn’t mean I don’t respect or support them in their struggle against the regime and in favor of democracy, or do not recognize their values. Because, if we are talking about equilibrium, attacking the dissidence–the weakest link of the political chain in Cuba–is the easiest thing in the world; not allowing them a chance to reply is simply indecent. As in every community or human group, it is true that not all the members of the dissidence are an example of virtue or honesty, but that does not imply that the opposition is a cesspool of detritus. R doesn’t even acknowledge the value of certain groups or individuals that have been performing staid and growing civic work within society and enjoy great prestige in their communities, as well as outside of Cuba. Manipulating information, distorting and fragmenting reality to suit your fancy and raving against sectors and individuals who do not have the possibility or the means to defend themselves and who are at a total disadvantage against the longest dictatorship in this hemisphere is opportunism and mediocrity, but, above all, it is immoral and unethical. Finally, if, as R says, “the chief diplomat of the U.S. in Cuba recommended that the State Department” should read his blog “to understand the real situation” in our country, revealed through a “secret cable” filtered through <a href=”http://www.bbc.co.uk/blogs/mundo/cartas_desde_cuba/2010/12/de_embajadores_y_disidentes.html&#8221; target=”_blank”>Wikileaks</a>, our sincerest congratulations (to R, of course, because the State Department would just end up with yet another oblique interpretation from a foreigner who is thriving on the Cuban situation). There is no doubt that R can still extract other advantages from his undeniable ability to sell himself as a specialist of the topics he writes about. Pity those souls who give him credit or pay for his work; it is well known that all spectacles need their public. It is striking, however, that R considers as beneficial the acknowledgment he gets from the government he often condemns because it maintains the “criminal embargo” against the Island and, in addition, finances us, the sinister mercenary dissidence. Will he make up his mind, already and pick a side? Maybe neither; rather, the incident deeply flatters his ego and serves as a present for his arrogance, hence the gloating. I think I’ve already overextended myself. Some might be of the opinion that so much effort was not worth it, as a very wise saying goes: to foolish words, deaf ears. I have decided this time to go with another: silence means consent. These twisted characters can end up doing a lot of harm. For the rest, my regular readers know that this writer is characterized by the absence of hair follicles on her tongue [she will say whatever she thinks], a trait which will annoy some. What are we gonna do! It’s very hard for me to keep silent in the face of so much effrontery. Chauvinism aside, it especially irks me to see such cheap verbiage from a foreigner who, when it’s all said and done, does not hurt for Cuba, Cubans, or their distresses. As far as I’m concerned, if this man is the voice of Cubans, it would be better for us if he remained discretely silent.